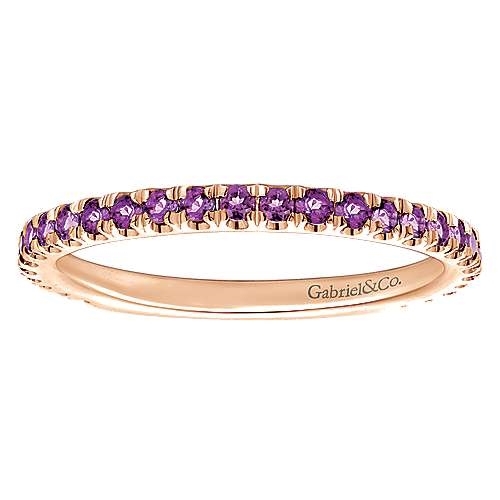 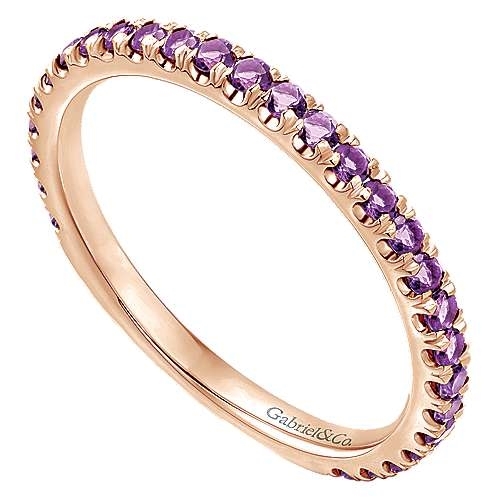 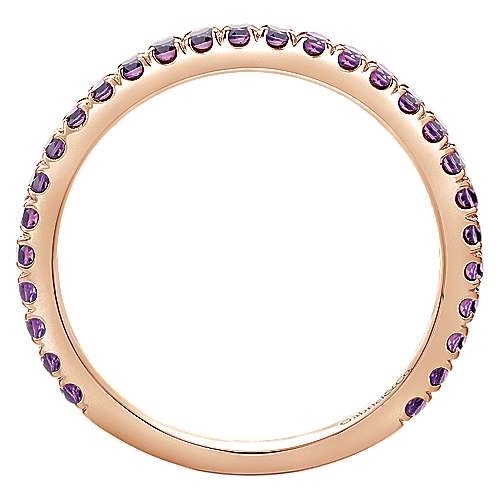 This eternity set stackable ring features contrasting purple amethysts set into 14k rose gold! A 14k rose gold stackable ring with eyernity style set purple amethysts! 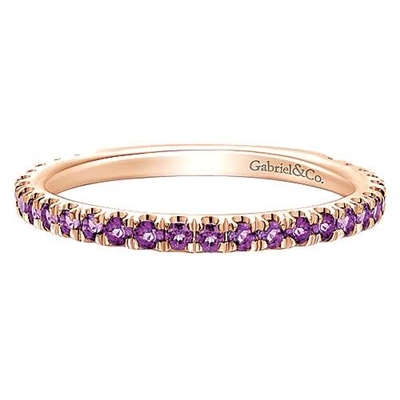 Add this to your stack collection today!